Leg of lamb and lamb chops are the most popular cuts of lamb, but our favorites are lamb shoulder roasts, shoulder steaks, and blade chops. These cuts have a bit more fat and so are very flavorful and tender, especially when slow cooked. But, in our opinion, there is nothing better than a nicely grilled shoulder steak or pulled smoked shoulder. Enjoy the warmer weather coming our way by dusting off your grill or smoker and give lamb shoulder steaks or a smoked shoulder roast a try. Slow Cooker Lamb Curry – From the Modern Proper via the American Lamb Board. This curry lamb can be made in a crock pot before heading off to work. Come home to the heady aroma of cumin, turmeric, and cinnamon and enjoy a home cooked meal without all the fuss. Smoked Lamb Shoulder – From Vindulge. This article provides the basic in how to smoke a lamb shoulder and then has some suggestions for using leftovers. Fair warning, don’t count on left overs! Slowly Braised Ragu with Gnocchi – From Plays Well With Butter via the American Lamb Board. Go Italian with this traditional Ragu — browned lamb, caramelized onions, red wine, tomatoes, and garlic, slowly braised in a dutch oven. Braised Shoulder Chops – From All Recipes by Kalphen. Simple recipe with the onion, rosemary, and garlic. Slow cooked in the oven, then use the drippings to make a savory gravy, for a fall-off the bone tender and satisfying meal. Herb Butter American Lamb Steaks – From Over the Fire Cooking via the American Lamb Board. “Herb”, “Butter”, “Steaks”… need we say more? Order by Midnight, Sun, 3/24/19! 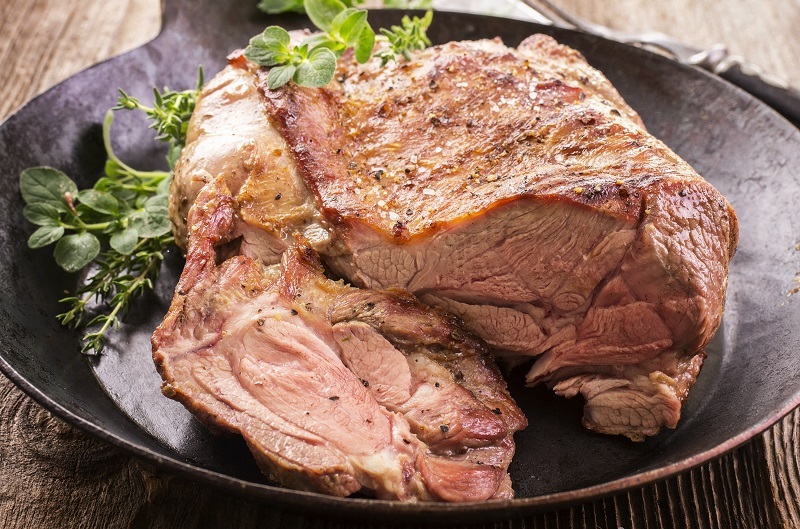 FLASH SALE: 20% OFF Lamb Shoulder Roasts, Shoulder Steaks, and Blade Chops!